Since 2003, Robert Timmons Furniture have been designing luxury kitchens and supplying furniture to suit various living spaces with a flexible and open attitude towards kitchen design, function and the individual needs for each client. We are passionate about creating individual designs that work harmoniously within the space and function perfectly on a practical level. We constantly research and source new products and technology, to enable us to provide unique solutions and designs. 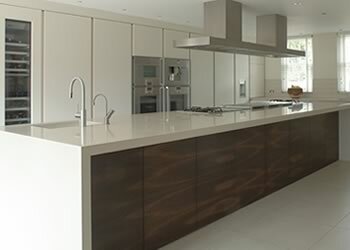 With backgrounds in traditional cabinet making, manufacturing engineering and product design, the team have a wide range of knowledge and understanding of what is required in designing and manufacturing high quality kitchens and furniture. Our strengths are that we work closely with each client, to develop an end result that is not only aesthetically pleasing and individual, but also totally functional.